Garnet black color. Minty aromas of carob chip, menthol, bromine, and underripe blackberry with a satiny, vibrant, fruity medium-to-full body and an effortless, interesting, cheery toffee coated blueberries, savory herbs and peppery spices, and black licorice finish with well-integrated, medium tannins. A balanced Cab-Merlot blend with nice herbal notes and fruity style. 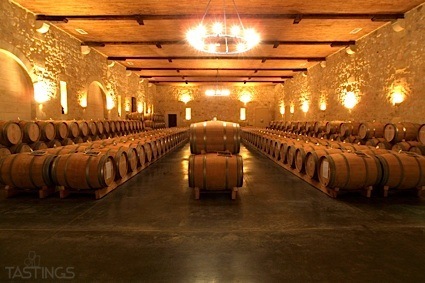 Bottom Line: A balanced Cab-Merlot blend with nice herbal notes and fruity style. 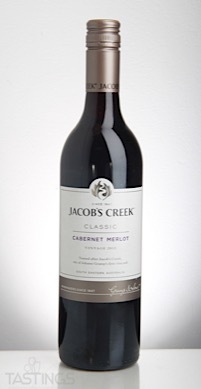 Jacob’s Creek 2015 Classic, Cabernet-Merlot, South-Eastern Australia rating was calculated by tastings.com to be 87 points out of 100 on 2/14/2018. Please note that MSRP may have changed since the date of our review.